Spring is rather rainy in Seattle (and to tell you the truth I love the coziness of rain). So, to celebrate all of the people in the world who love the sounds and smells of rain, I've got a special surprise for you this week: You have the option of picking from TWO (2) different inspiration sites. I believe this might be the first time this was ever done (go ahead and call me a rebel-LOL)! If you're a big fan of Pinterest, like I am, you might choose to be inspired by this delightfully rainy Pinterest board: UMBRELLA by Grazia Merio. However, if you aren't such a fan of Pinterest, and you prefer luxurious website shopping, then you might find your inspiration on this site: Pasottiombrelli Luxury Umbrellas online store. It's 'have it your way' week, so please pick your pleasure, and then join me in some well deserved happy creative fun! Please remember that all inspiration links should be inspired by images from the Umbrella Board on Pinterest OR the Pasottiombrelli Luxury Umbrellas website. Use the keyword: IC486 (no spaces or extra characters) when you upload your card, and make sure you put commas between your key words. For those of you who say you get overwhelmed with having too many images to choose from, I've uploaded ten of my favorites (top row from Pinterest, and the bottom row from the online store)..… so just stick with one (or all) of those for your inspiration. Click on the images below to see them bigger and to get their links on SCS. Don't forget to let us know which photo(s) served as your inspiration piece please. Last edited by girlgeek101; 03-27-2015 at 06:41 PM..
Audrie, I really like the way you did this week's challenge with the option of two sites. I personally am not thrilled to use someone else's art, whether painting, photography or sculpture, as a jumping off point for my own card making. 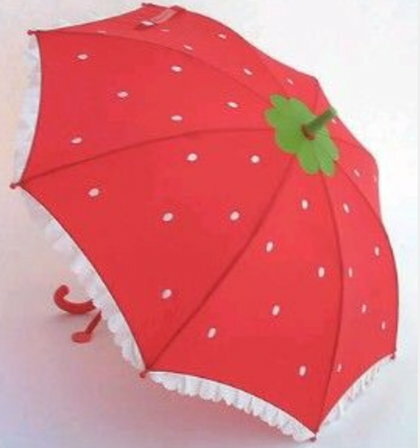 So I chose the Pascotti site with those gorgeous umbrellas. Thanks. Here is my Red Umbrella card. 2 great sites today Audrie, and we have rain too! Thanks Audrie for yet another great challenge. 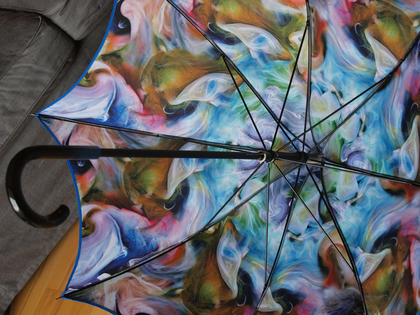 There is something about umbrellas ....they make great art. Here is my card. But I LOVE umbrellas. Every time we are in Paris I go and gaze in the window of a beautiful umbrella shop on the Blvd Saint-Michel. Here's the beautiful one I chose there as my birthday gift last year There are blue highlights in the handle, and the outside is deep midnight blue, and then there is that glorious riot of colour inside. mamaxsix, justwritedesigns, Holstein and 3 others like this post. Audrie, this was so much fun! Thank you! Wow! Beautiful umbrellas! Thanks so much, Audrie. Here's my Flower Shower. Thanks so much for looking! IC486 - Umbrellas by BobbiesGirl - Cards and Paper Crafts at Splitcoaststampers. It's a great cards making day here. Thanks for the fun challenge, Audrie! Here's mine. Audrie, what a great challenge! Here is my card. Wow Audrie....you outdid yourself this week!! Two glorious and inspiring sites...(you rebel, you!!) lol. Loved looking at them both. Thanks mf. I was inspired by this Pin by Grazia Merlo with its happy colors. Added 2 dc umbrellas and floss bows, along with this quote by Dolly Parton from a stamping buddy. Here's Pop Art Umbrellas. TFL! Theme -- Umbrellas, Double Take. So I made a second card! Thanks so much, Audrie.....great sites, both of them........here's mine. I was working today but I am amazing at how cool the gallery looks! I'll be joining in and playing on Sunday. Thanks to everyone for contributing such beautiful cards! Thanks for the perfect inspiration for this sweet image! Here is my Happy Birthday card. I loved this umbrella site as inspiration!! Thanks a bunch! Here is the card I made for this challenge. Thanks for the challenge. Thanks for being hostess.